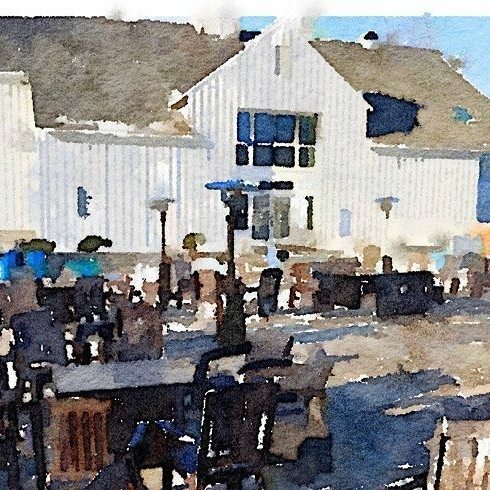 We are building at least two stages at the Vineyard to upgrade the experience for the musicians, one will be for the original outdoor patio space outside of the Tasting Room and Champagne Bar. We are changing it's location to limit sun and heat by putting it in the "Ha Ha". When completed it will include a small sound system (not yet defined) that musicians will be free to use, making setup and tear down much easier. The Second stage we will be building will be in the large courtyard space which we have used for festivals in the past, and now every day in 2016. While not yet completed, we have already procured the sound system that goes there on a permanent basis, and it will be available on our tried and true raised patio stage starting April 15th. Right now the power for the stage is shared with lighting for the guests who are there to enjoy themselves and enjoy your music. 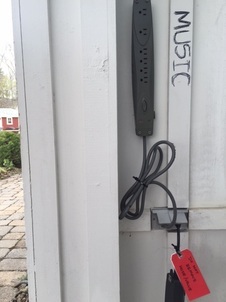 Power for musical performance is through a mounted power strip, with five outlets. A very clearly marked controller with a red tag, that says "do not remove" should be taken seriously. To the right is the picture of the setup.